Not much of a name, is it? The series of numbers, 438677, tattooed on his upper lip, is, to this day, the only fact I know about him. Here is his story from the beginning…or at least our beginning. It was a sweltering summer day when Pam stopped for lunch before heading ​back home. As she gazed out the window, she saw a packed horse trailer pull up. Just one look and she knew these horses were not destined for any pleasurable activity. This trailer was making a pit stop on its way to the slaughterhouse. One ​horse in particular caught her attention. Before the driver could even step out she was demanding a closer look at this animal with the soulful eyes. The driver obliged and backed the horse out of the trailer and Pam’s focus was on the blood running down his belly and flank and his obvious broken nose. The driver saw her concern and assumed it was why she abruptly ran away. As the man gruffly loaded the bloodied horse back into the trailer, he turned to see Pam standing with checkbook in hand, ready to pay whatever the price. 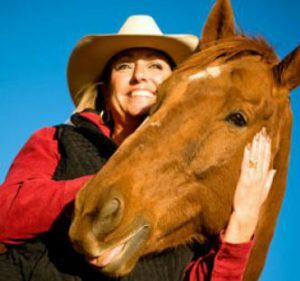 She knew she had to save this bloodied and battered horse. Growing up, I had been an avid horseback rider. But as I got older, life changed my focus. It wasn’t until later in life that I realized how much I missed being around these powerful, majestic and amazing creatures. So even with a demanding schedule, I knew it was time to return to my love of horses. I began the search. 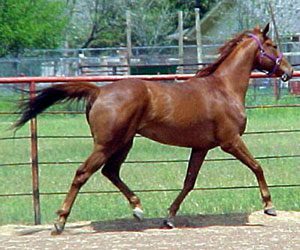 I found Tonkawood and was intrigued by the adoption of a rescue horse. I met many horses there but none that spoke to me. As I was preparing to leave, Pam said “well, there is one more. . .” and lowered her voice to add, “but he has issues” and would require a lot of time, energy and patience. “Great,” I thought. I have none of those. She added that he was impossible to bridle and head shy, undoubtedly a result of abuse. Not exactly the type of sales tactic I was expecting. But when I met him, it was love at first sight. 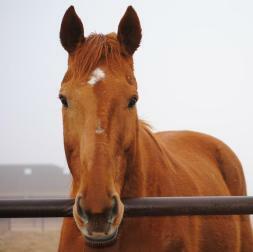 This beautiful, tall red horse with the sad eyes, broken nose, and obvious fears was magnificent to me. Now to write a check. Quickly I learned that purchasing this particular horse would ​not be that easy. There was a requirement. Pam simply said, “if you can ​successfully bridle him, then you can buy him.” Fortunately for me, Pam failed to set a time parameter for the test. And so for the next 45 minutes, he and I danced an awkward, ugly dance until he was bridled. Fast-forward six months through our application of unique horse+man+ship principles. Trinity transformed into my true partner and friend. Today Trinity continues to teach me how to love and live. I’ll never know the life Trinity had before, but I do know that Trinity learned to forgive and for now until…we live on UnBridled and Free.